Step 1: Clean the face. Use a hot towel under the face, so that pores fully open. Step 2: Use deep pore sebum softener with gentle massage todesired skin area.Wait till acne on skin being softened before applying mask. Step 3:Take the right amount of mask daub to the face and avoid eyes and lip. Wait15~20 minutes until completely dry after the face paste slowly peeled off from up to down. Step 4: Apply amount of skin clarifying pore treatment essence on face with gentle pats to effectively minimize skin pores for a healthier looking skin. Step 5:.Use 2-3 times a week is better. 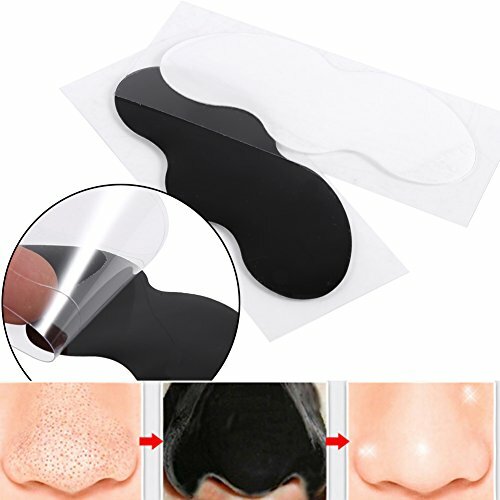 ACT ON: efficient removal blackheads, alleviate the large pores, can prevent acne from breeding. Can Penetrate the skin, and firming lift, remove facial hot toxic nourish the skin whitening effect. OIL-FREE: Deep clean all dirty in your nose, and let it much smooth,This can with daily use help to remove blackheads or oil spots on your face. EASY TO USE STRIPS: 50pcs per pack is very practical and cost-effective. If you have any questions about this product by TMISHION, contact us by completing and submitting the form below. If you are looking for a specif part number, please include it with your message.